TAMPA, Fla. — A school district in Florida has cleared a mathematics teacher of wrongdoing after a religious liberties organization submitted a letter of complaint asserting that she had overstepped her bounds by promoting homosexual advocacy in the classroom. “The evidence obtained in the investigations does not support the allegations and established that there was no malicious intent on your part to intentionally harm, disparage or embarrass students,” the two-page decision letter issued to Riverview High School teacher Lora Jane Reidas on May 5 reads. The letter also noted that according to additional photographs provided to the organization by parents, Reidas had decorated her classroom with various homosexual advocacy material, including buttons on her desk that read “I Love My LGBT Students” and “Safe Schools for All” in promotion of the Gay, Lesbian and Straight Education Network (GLSEN). 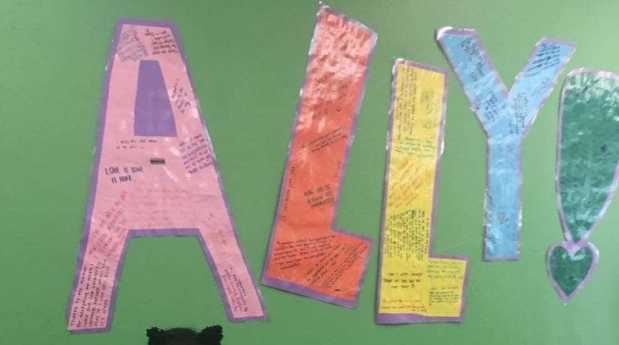 A poster was displayed on the wall advising that her classroom is “safe and inclusive” for “lesbian, gay, bisexual and transgender students and their allies,” and the word “ally”—also posted to the wall—was spelled out in large cut-out letters and covered with handwritten sayings in support of the homosexual lifestyle. At the time of the correspondence, it was also believed that Reidas planned on promoting the GLSEN’s “Day of Silence” and was allegedly tweeting about homosexual advocacy issues during class time. While Reidas serves as the sponsor of the school’s “gay-straight alliance,” Liberty Counsel concluded that the teacher’s actions violated district policy, which states that staff “may not dedicate work time to an outside interest, activity or association,” since her homosexual advocacy has nothing to do with math class. However, Reidas denied any wrongdoing, stating that she only told one student at the beginning of the year not to wear rosary beads because they could be considered gang symbols as per district policy. She said she would never prohibit students from wearing crosses, claiming that she herself identifies a Christian. And while she didn’t deny the homosexual advocacy displays in her classroom, Reidas asserted that such discussions are separate from math class and that she’s simply trying to let students know that her room is a safe space from bullying. The school district interviewed students about the matter, and while there was conflicting information at least in one aspect, it decided to heed the majority. “Although a few of the students advised the investigator you asked students to remove their cross necklaces, the majority reported that only students who wore rosary beads were asked to take them off,” wrote Mary Frances Ledo, general manager of professional standards. “Additionally, students disclosed that the stickers you place on their folders did not have LGBT letters on them and every student interviewed advised the investigator you do not promote LGBT issues in class,” she said. However, Ledo warned Reidas to be more circumspect in her communication with students so as to not exceed her role solely as supervisor for the Riverview High School Gay Straight Alliance. “Although the allegations were not substantiated, I am compelled to remind you to use caution whenever interacting with students. As the sponsor for the RSGA, your role is defined as supervisory only and I am certain you would not want the public’s perception of you to be otherwise,” she wrote. However, Liberty Counsel says that more than one student had contacted the organization and that it will continue its communication with the district.